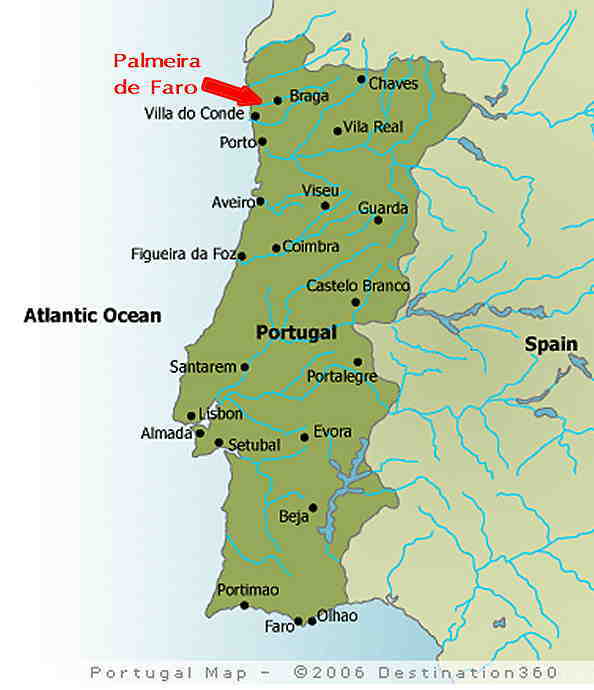 For its 6th edition, the IOTM goes to Palmeira de Faro in the north of Portugal! Located at 4 km from Esposende, in the parish of Palmeira de Faro, Quinta da Seara is a privileged space of interaction with the region. On one side, the sea and the magnificent beaches of Esposende. On the other, the rural landscape indented by river Cávado, rich in stories and traditions. 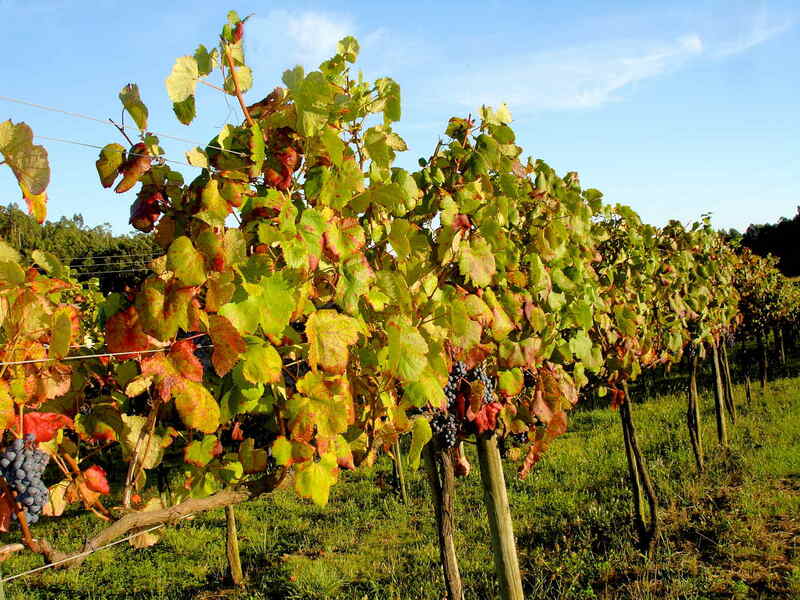 Inserted in a rural environment, inside of a walled farm, Quinta da Seara has a total area of 19 hectares, distributed by vineyards, orchards, vegetable plots and pine groves. The facilities, despite totally remodeled, still keep the characteristic features of a traditional Minho farm, which have always been dedicated to agriculture and, more recently, to vitiviniculture. With more than two centuries of existence, Quinta da Seara had once been owned by the last “captain-mor” of the “Ordenanzas” of Esposende, a high military rank at a municipal level in the reign of D. Sebastião. Today, converted in a farm of ecotourism, agritourism and enotourism, Quinta da Seara is the mirror of secular habits involved in a natural landscape of rare beauty. Oligochaeta (few-bristled worms) is an extremely important taxonomic group in aquatic and terrestrial ecosystems. The class Oligochaeta (phylum Annelida) was traditionally separated into Microdriles (small oligochaetes living in sea and fresh water and in wet soil) and Megadriles (often large oligochaetes, living mostly in terrestrial soil, a few are however semi-aquatic or aquatic). Though, one should keep in mind that nowadays Microdriles are considered as a paraphyletic assemblage whereas Megadriles are regarded as perhaps a monophyletic group. To the layman the best known oligochaete group are earthworms that were one of the first animal group colonizing humus soils at the end of Palaeozoic (250 MYA), and Charles Darwin undeniably contributed to their fame with his famous book The Formation of Vegetable Mould through the Action of Worms with Observations on their Habits, which became a best-seller in that time. In contrast to other Oligochaeta, the important role of earthworms has been recognized from the dawn of human history till present. They were known, here and there throughout History, as source of food and medicine, important factor of soil fertility, and as a model to explain our world. Earthworms use in early medicine is documented by Pliny the Elder (77) in his Natural History and in the Chinese Divine Farmer's Materia Medica Classic (about 200 B.C. to 200 A.D., Shen, Y. 2010 in Advances of Earthworm Taxonomy IV (Annelida: Oligochaeta), page 171-174). Amazingly, the modern science re-confirmed and detailed the medical potential of earthworms (for example, Cooper, E. L., 2012. Earthworms Dilong: Ancient, Inexpensive, Noncontroversial Models May Help Clarify Approaches to Integrated Medicine Emphasizing Neuroimmune Systems in Evidence Based Complementary and Alternative Medicine. doi: 10.1155/2012/164152). Rather surprisingly, they have also been used as a model of scientific explanation of our world. For instance, Aristotle mentioned them as an example to support his - today rejected - theory of abiogenesis and believed — wrongly — that eels originated from earthworms (for details see Rota E., 2011. Early Oligochaete science; from Aristotle to Francesco Redi in Archives of Natural History 38: 136-163). In spite of the importance of oligochaetes, there are presently some serious deficiencies in the knowledge about their taxonomy, distribution, biology and ecology, in comparison with mammals, birds, lizards and other organismal groups. One way to bridge this gap is to bring together scientists working on the subject with the aim to speed up information about the progress in their work, exchange ideas and encourage them to cooperate. This is the basic idea behind the organization of the International Oligochaeta Taxonomy Meetings (IOTM). So far, five successful meetings took place. Traditionally, the meetings concentrate mainly on Oligochaete taxonomy and phylogeny, but also discuss different aspects from other scientific fields, e.g. earthworm ecology, faunistics and phylogeography as well as new methods of their study. The 6th International Oligochaete Taxonomy Meeting will continue in the best tradition of the previous four meetings and will take place in Palmeira de Faro in Portugal, from April 22th to April 25th, 2013. We wish all participants of the 6th IOTM an informative and fruitful stay in beautiful Portugal.